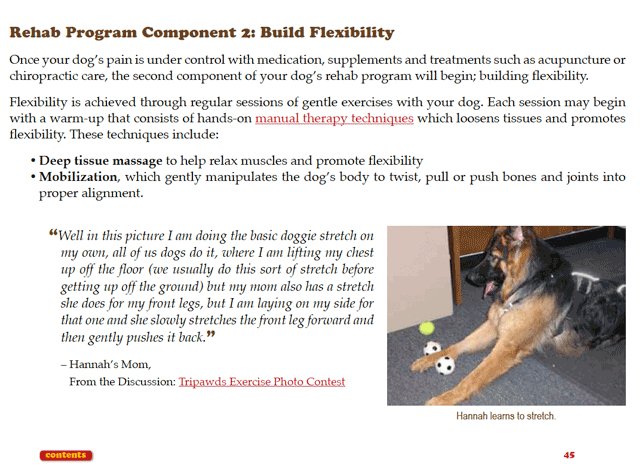 The Tripawds canine fitness and conditioning handbook is a vital resource for keeping any dog healthy and strong! Keep your dog fit to prevent injury! This canine fitness and conditioning handbook is filled with information and professional advice to help you keep your dog healthy and strong! 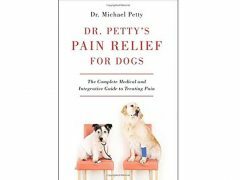 Whether your dog has four legs or is missing his spare, these details will help you understand the benefits of pain management, flexibility, strengthening, and much more to help prevent injuries. 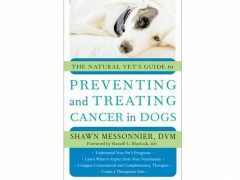 Help your dog live a long happy life with the professional advice of veterinarians and certified vet rehab therapists, along with many real world experiences from Tripawds members. Save time spent searching the blogs and forums. Download now for fast answers about developing your dog’s strength. 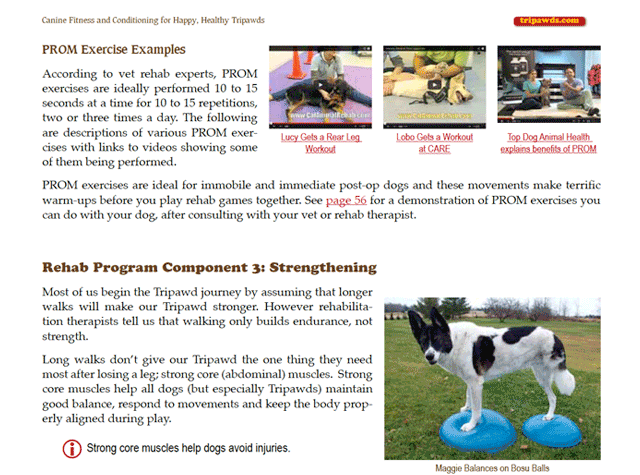 This 115-page interactive PDF features direct links to the best blog posts, forum topics, videos, and podcasts from more than ten years of the Tripawds Blogs and discussion forums. 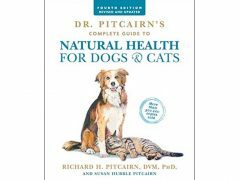 2 Ebooks in 1: Save on the Tripawds Library! Please be sure to save the PDF to your device. When viewing on an iPad or mobile device the file will load in your browser by default and there is a limit of 10 downloads! Link expires in 90 days. NOTE: Printed books are not available. 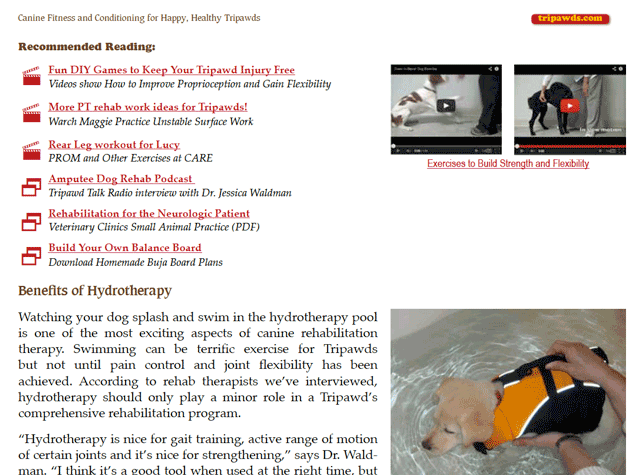 The true value of Tripawds e-books is the hundreds of direct links to more helpful articles, videos, and podcasts available online. Be the first to review “Loving Life On Three Legs” Click here to cancel reply.